Janet Yellen put her foot down in April. Yellen's colleagues on the Federal Reserve's committee kept dropping hints in March that a rate hike in April was possible. Then the Fed Chair gave a speech at the end of March squashing all that talk. "Yellen is clearly the boss and what she wants is what she'll get," Peter Boockvar, chief market analyst at the Lindsey Group, wrote in a research note. "It really doesn't matter what any regional Fed President says, especially those that don't vote." Not all experts hold that view. But Fed leaders appear to be lining up behind Yellen now. In the weeks leading to Fed meetings in recent months, leading officials sent mixed signals, conflicting each others' statements, confusing markets and sometimes causing volatility. Since the Fed's meeting at the end of April, seven Fed presidents or governors have spoken and three more speak Thursday. So far, just about everyone is now in line behind Yellen message: slow and steady. St. Louis Fed President James Bullard has been known in the past to criticize the Fed's decisions. In September, he said there was "powerful case" to make for raising interest rates right after Yellen and the rest of the Fed's committee chose not to raise rates. Last week Bullard spoke in California and said he's undecided on whether to raise rates in June. That's a contrast from all the buzz before the April meeting. Fed Presidents Bullard, Patrick Harker and John Williams each suggested an April rate hike was a possibility in March. 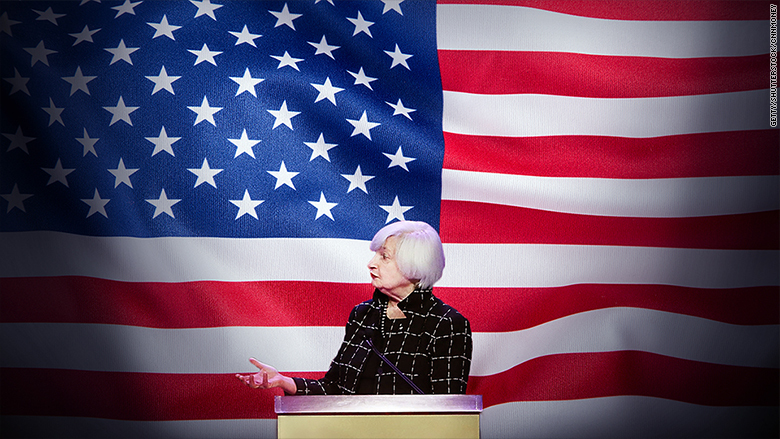 Then Yellen signaled serious concerns about the global economy on March 30. "Global developments pose ongoing risks," Yellen said at the Economic Club of New York. 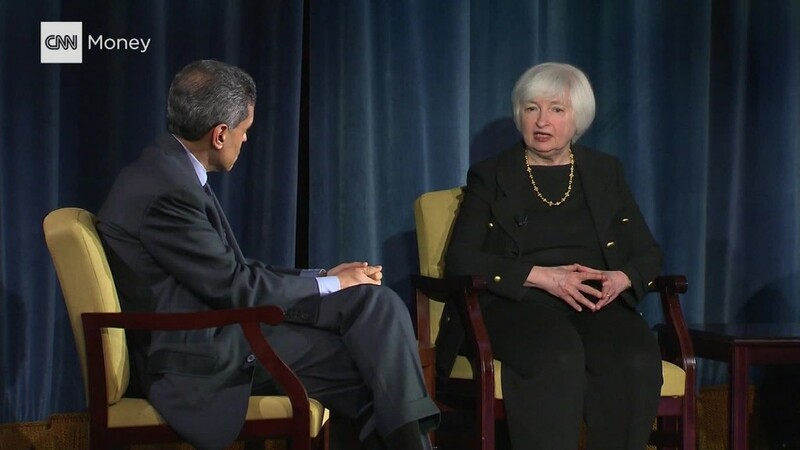 She added that the Fed intends to "proceed cautiously." Related: Will the Fed raise rates before the 2016 election? Like President Obama at the White House correspondents dinner, Yellen essentially dropped the mic. Investors' bets on an April rate hike fell even lower after Yellen's speech. And a month later the Fed didn't raise rates. Her speech "in effect said 'don't pay attention to the other men and women behind the curtain, I'm the one that matters, I'm the wizard,'" says Ed Yardeni, chief investment strategist at Yardeni Research. Wall Street believes in the wizard. Yellen said the Fed is moving forward 'cautiously' and investors are now betting there's only an 8% chance of a rate hike in June, which just a few weeks ago was considered the best time for the Fed to raise rates before the 2016 election heats up. Experts say that New York Fed President William Dudley still holds a key voice on the committee. He has a permanent vote and often appears in lock-step with Yellen. However, other Fed leaders who once diverged from Yellen's views aren't piping up lately.